You can use unlimited email space by configuring the email id in outlook. * Free domain extension available in .com and few more extensions. Contact sales team to know more. If you have any questions related to the technicality of the product or need assistance with the product that you are interested in please fill the below form, our manager would revert to you and clarify your queries. A domain name is an online identification label that an individual or an organization. A control panel, in web hosting, is a web-based interface provided by the hosting company. How to Raise a Ticket? Data center is considered a top tier facility in terms of network connectivity and infrastructure design. Free source codes 5000 plus templates with free SEO tools to increase your page ranking. Our friendly technical support team is access able by chat, phone, ticket system, email and by SMS too. We provide our customers with the best servers with high configuration super fast servers. Using Plesk(PEM) technology customer will get reliable, secure and flexible shared hosting account. Manashosting has integrated the advanced technology control panel especially for low budget web hosting packages. It becomes easier to manage millions of domain using such technology even reducing man power cost. As a result Manashosting has the ability to utilize the power and flexibility of such technology and provide packages at a throw away price. Hence its quite obvious clients can avail packages at low price compared to other hosting concerns. Manashosting is a reliable web hosting company of India, committed to provide its customers with the most efficient and effective web hosting service possible. Our affordable price plans, stable and secure servers, efficient technical support, and a wide range of other attractive hosting features have made us a leading web hosting company in India. Your search for quality, result-oriented, and budget web hosting solutions ends here. One of the most important criteria that you need to consider is website space. While building a website, it is essential to ensure you have enough website space for everything you wish to put on it. The company delivers high-quality service at lowest price and provides various web solutions for individuals and businesses. The major services of the company includes, Unlimited web space and bandwidth hosting, reseller hosting, free domain name registration, Dedicated hosting, VPS hosting, etc. We offer web hosting packages which suits everyone's need. In the history of web hosting India, Manashosting is the only company who came up with the thought of providing unlimited space and bandwidth at an unbelievable low price which was a successful venture in the market when implemented. Till date our clients are happily utilizing the resources allotted along with packages for their web solutions. Clients now can register domains with various extensions available to opt from. Manashosting being one among the top web hosting company in India is providing Windows and Linux web hosting at the cheapest rate by integrating one of the best hosting panel technology to its web server. Our clients can avail exclusive multiplatform reseller web hosting packages as well at an unbelievable price. Advanced technology has helped Manashosting to be one among the best web hosting service provider in India. Though it's a Bangalore based company, however Manashosting has expanded its business all over India. There are a huge number of clients based on Delhi, Bangalore, Hyderabad, Mumbai, Chennai, and Calcutta. In windows platform Manashosting has provided unlimited web space and unlimited bandwidth which eventually has helped the client to utilize the resources at the fullest which is required for the website. Every packages of Manashosting are affordable and hence it has been easiest decision for our clients to opt for the suitable web hosting packages. Web space reselling has been an important module for the resellers of India which eventually they have cashed on the basis of the cheapest and valuable unlimited web space and unlimited bandwidth package provided by Manashosting in Indian market. With exclusive panel integrated with the reseller server, clients have enjoyed the high uptime and high speed which helped in the development of their source modules. 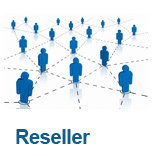 Domain reseller package has helped the reseller clients to put their own brand on the market as a domain register. Reseller web hosting has been a fundamental aspect of Manashosting to bring its brand among top few companies. Being an Indian web hosting company Manashosting has always made it sure that the packages goes as per the best web hosting features combination which can satisfy the clients. In the domain of web hosting Manashosting has reached it culmination by giving cent percent satisfaction to its clients and still looking forward to add up new facilities which one still can't think beyond in the current web hosting market. Starting from attractive domain prices to web hosting products Manashosting has always taken up the challenge to help out its clients. In web hosting market of India Manashosting has always taken up the task to bring in new technologies that simplify the task of website creation as well. Manashosting has implemented advanced technology in the web hosting panels to help its clients utilize such features which eventually has helped them in their website development. Manashosting being one among the top web hosting companies in India has kept its focus on the ideology of a true entrepreneur and left the client with abundant choice to opt for the best service. Web hosting reseller packages or web space reseller's packages have been in the best interest of the Indian resellers which they have utilized by associating themselves with Manashosting. They have created their own brand in the market and consistently they have received prompt and positive response and feedbacks from their clients. Resellers get multiplatform benefits including Windows hosting Linux hosting and java hosting. Apart from these resellers, end user clients looking for cheapest to high end packages have also got themselves associated with Manashosting and running their business in a long term basis. Clients all over India, from Bangalore, Delhi, Chennai, Mumbai, Kolkata, Hyderabad, etc are approaching Manashosting on regular basis to experience the newest and advanced technology of web hosting. we are a web hosting provider backed by leading data centers in the US. We deploy the best of hardware and software components for hassle-free functioning of your servers. Our technical support team comprises industry experts who proactively tackle all your hosting-related issues. Opt for a Shared Hosting or Dedicated Server for showcasing your business on the web. We also offer VPS (Virtual Private Servers) in accordance with varied business requirements. One of the veteran webhosting provider based in India we offer cost effective solution for small companies, corporate and individuals seeking windows web hosting, Linux web hosting, E-commerce services, domain registration and really hassle-free Web hosting service, PHP, asp, asp.net, jsp, java scripts, html, dhtml, joomla, word press programming & mysql, mssql database management, Site optimization and Search engine marketing. Our Quality, affordable price, timely services and our experience set us apart from other web hosts all over the world. during the last few months Manashosting has gone through a serious reformation related to the website hosting solution we provide to our customers. The changes were triggered on the basis of the requirements running in the current market, which our primary features included in the packages can fulfill. The new Website hosting solution is also used as a foundation of the latest hosting service we launched recently – our Make Website package. With this package we aim to accommodate the needs of the users without previous experience in creating websites. The new package includes everything you need for creating your first website without any specific design or development knowledge. Apart from our new Website Wizard our new package includes all the basic elements for establishing an online presence such as free domain registration, professional hosting with 24/7 support and even website promotion materials. Our Unlimited Hosting plan is for websites that demand the most out of their web hosting plan. With unlimited web storage, web data transfer, and add-on domain names, this web hosting plan allows you to build your website without worry. Features such as Email, FTP access, website statistics, website builders, come standard with this hosting plan as well. The Unlimited Hosting plan has features that most other web hosting plans don't. With its PHP and MySQL support, you can run a variety of customized scripts on your website including blogs, photo galleries, forums, shopping carts, and much more! Web hosting requirements are growing day by day and in accordance the demands for web space reseller package, web hosting reseller packages, free domain registration, vps, dedicated servers, and domain reseller packages are increasing simultaneously. With the increasing demands, top web hosting companies of India are bringing plenty of features and adding extra resources in their web hosting packages to entertain the clients on purchasing web hosting accounts from top webhosting companies. They are bringing in more traffic than ever before. As more guests visit, it becomes difficult to continually maintain the site. This includes approving or rejecting user comments, general maintenance and updates, and creating new content to keep the user interested. Maintaining any website can be a daunting task, especially one that's exploded and has high traffic. To be able to maintain these users, infrastructure must be well-kept, monitoring must be consistent, listening to your visitors regarding improvements and proper traffic spike management must be implemented. As websites continue to grow, more individuals will be needed to maintain the sites and ensure the majority of visitors are content with what they see. One useful feature is that all the domains registrations can be done using single domain control panel provided by Manashosting to their domain resellers according to their needs. That way its easier to keep track of the validity of the domains which has been registered by the domain resellers using their own domain control portals for their clients. Manashosting is among the top web hosting company in India. In the year 2007 only Manashosting already grabbed the milestone of 3rd position among top web hosting company of India hosting companies in India. After reaching 3rd position Manashosting focused more on quality and reliable technical support. Being one of the top webhosting company India Manashosting is coming to the broad light and every clients getting benefited with the advanced and superior technology of Manashosting, giving us the recognition of the leading most company among the top web hosting company in India. For Manashosting reaching the milestone it is not the sole notion but also to provide quality service and support to our clients. To be one among top web hosting companies in India is not only thing that Manashosting focused into but also taken active step to provide top web hosting technology to our clients. Also undertaking the complete free domain reseller accounts by the domain resellers(free depends upon the offers) and setting the privacy and restricting the easy movement of domains without the knowledge of the main account holders can be moderated on the basis of the requirement. This is a helpful feature for the client that has a network of sites all connected from a main page. The basic web hosting reseller packages save money. Since the client doesn't have to pay for one hosting plan per website all on different servers, they are able to save much more money by paying one bill for all, on the same server. Dedicated web hosting in India is widely regarded as the most comprehensive and powerful type of web hosting in the industry. Many people praise dedicated servers and their capabilities, but they fail to mention the vast selection of plans and options that one must choose from when investigating prospective hosting providers. Every web hosting in India type has many plans to choose from, and each web hosting India provider is different. Even after you've selected a plan there are still options that you have to consider in regards to optimizing your dedicated server for maximum functionality and compatibility with your sites. The following information may help you make some of these crucial decisions if you are in the process of selecting or setting up a dedicated web hosting account. The first decision you have to make is whether you need managed or unmanaged dedicated web hosting in India. Managed web hosting in India is perfect for those who have little experience with internet technology and web servers. Since dedicated servers are devoted to sole owners, they need to be maintained by their owners, unless you have managed hosting. If you're a novice with no technical knowledge then you absolutely need fully manage hosting. If you have technical skills and you're on a budget then you may want to choose unmanaged hosting. Next you'll want to choose your operating system, whether it be Linux, or Windows. Most web hosting India companies offer variations of Linux or windows by default with no additional charge. Dedicated servers usually operate on a corporate network of publicly distributed operating systems known as the Red Hat Network. Many times Windows dedicated servers cost slightly more because of the support involved with keeping the operating system running smoothly. Many webmasters simply install virtualization software on their dedicated server that will let them run several partitions of different operating systems. You should choose your operating system based on your site's needs. If you run server-side Microsoft applications then you will need access to Windows in some form, whether it be directly or through a virtualization software. When you own a large website, or several websites, one of the ways you can minimize the time and effort involved with uploading files to your site is to use an FTP client. This kind of software can upload multiple files to your website in very large batches which are generally nowadays availed by web hosting in India, thus making it easier for you to upload massive directories with the click of a button. Once you have the files created and organized properly, you can then use an FTP client like File Zilla to upload the files to your site. Using an FTP client is very simple, and it facilitates the process of site management and development without the need for individual file uploading. Unfortunately FTP clients are limited in what they can do, as far as uploading files to multiple sites at the same time. For those that own several websites, and need to upload many files to multiple sites simultaneously, using a single install of an FTP client is simply not an option. Thus, you either need several different FTP clients, or you need to use a visualization solution, in which you have several operating systems running on the same computer. Control Panel is utilized by many web hosting India providers for the mere fact that the software has been developed for both novice and veteran users. Control Panel offers extensive support, an easy-to-use interface as well as plenty of advanced features and services to ensure all needs are met. Within the navigational interface lies menu that offers the user several functions and services. Each of the following areas (in web hosting in India) also contains at least five further options, including email options, web tools, live stats, site management and a help center. The email options category doesn't contain anything unique. It offers the same choices as other control panels including spam filters and webmail options. The web tools area presents different resources to assist the user with the design and creation of a website utilizing installable scripts. This is a helpful area for new web owners to learn the skills needed to successfully create a site. The site management section displays the settings that deal with the domain and also the file manager. Other features include PHP settings, full database control and an area for FrontPage extensions. Finally, the help center offers interactive video tutorials, frequently asked questions and a ticket archive. The help options within Supreme Control Panel are extensive and effective. One perk for utilizing this control panel is the language support. Also, services that have traditionally only been available by using the web hosting India index page can easily be completed through the control panel. Additionally, users can search for specific domain names, setup new accounts, enable live news feeds and renew web hosting plans. Furthermore, the actual color and design of Control Panel can be customized based on personal taste. Unfortunately the structure and displays are set and cannot be changed. These have been optimized by professionals to accommodate all user needs.